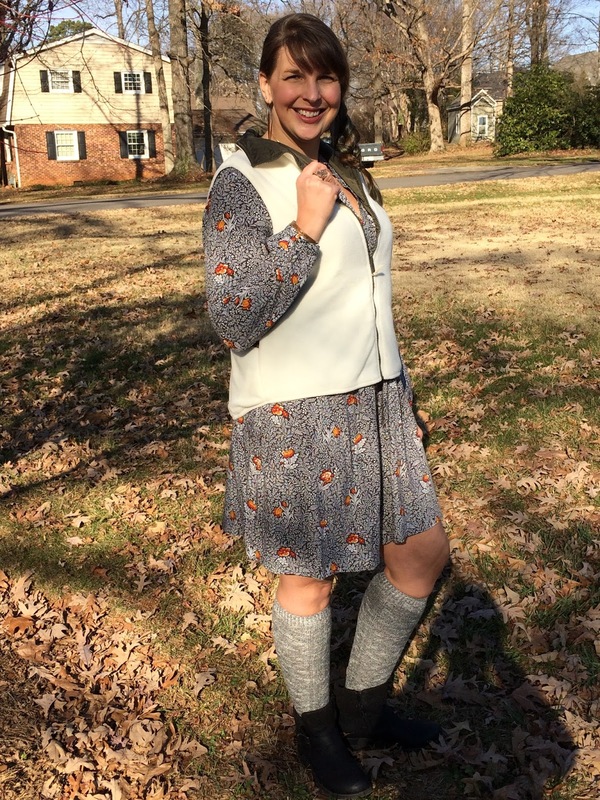 I am a fan of the boho look and wearing dresses with boots. This look does not have to be only for younger women. Today I am showing you how to style a floral dress with moto boots from White Mountain. 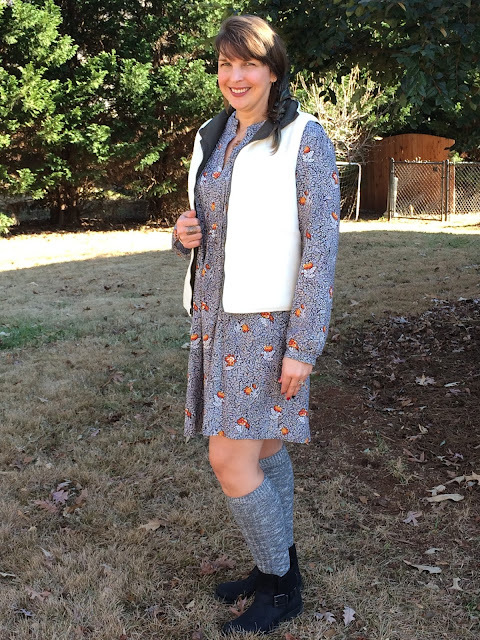 I found this long sleeved Old Navy floral dress on ThredUp recently and have already styled it a couple of different ways. You can wear it with leggings and tall boots or shake it up by adding a fleece vest, tall boot socks, and moto boots. 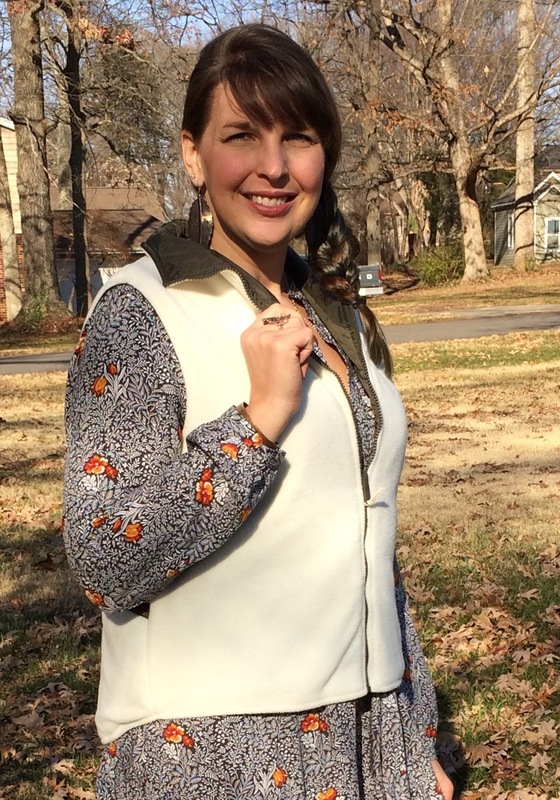 This vest is reversible, with fleece on one side and a puffer style on the other. 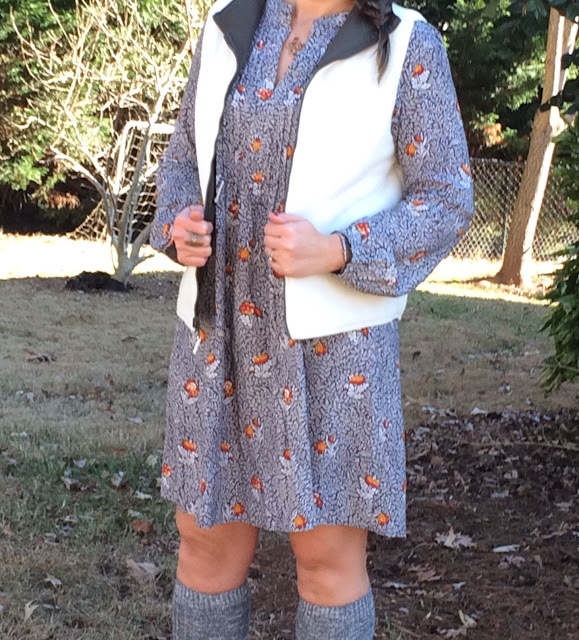 A vest is the perfect accessory to any winter outfit and it adds another layer of warmth. 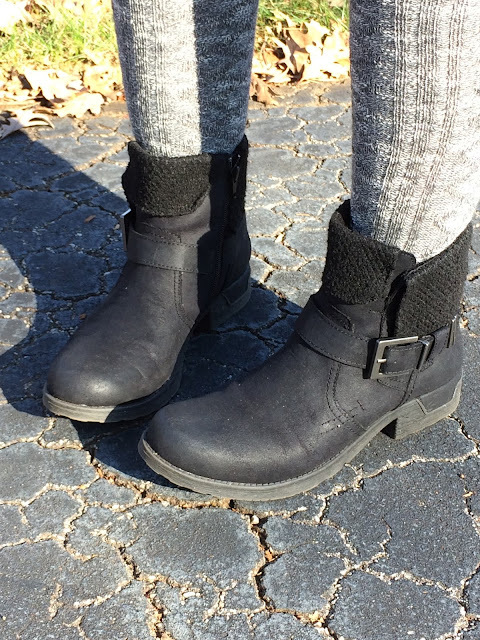 I have been looking for a black bootie to replace a worn out pair and this pair from White Mountain (The Riza) is perfect. The distressed look, buckle, and fabric trim is the perfect compliment to any outfit. Disclaimer: A special thanks to White Mountain for providing me a pair of boots for my review. As always, opinions are 100% my own. Such a pretty dress! 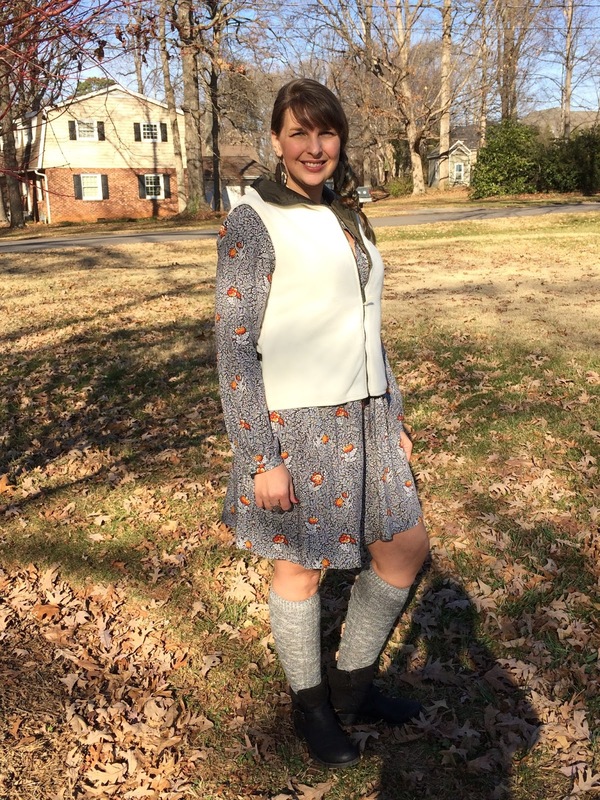 I have done ThredUp once and really enjoyed it. I need to try and send them some items next! Those boots are cute, too, especially the graphic trim on them! Thank you! I have loved everything I have received from ThredUp and these boots are the bomb! Hi Mary, I hope you had a Merry Christmas. I missed out on that cute dress from Old Navy and what a nifty way to dress it down while being cozy and warm with those knee-high socks. So cute! I welcome you to stop by my blog too. I run a style linkup every Thursday and I'd love for you to linkup your stylish latest looks too. Thanks. Thank you, Ada! I was happy to snag this cute dress! I will stop by your link up for sure! I don't know if I could pull off the boots or not! I think you could, especially with jeans!